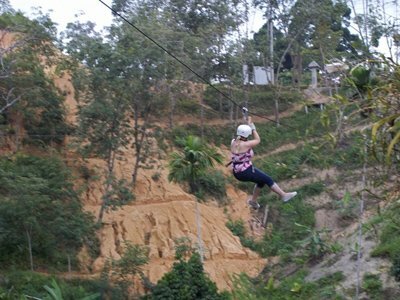 If you are looking for something adventurous to do on Koh Phangan, head to Jungle Flight. Its located on the road to Thong Nai Pan at the top of the first hill coming from the junction on the Ban Tai Road. Jungle Flight has all Western brand safety equipment and the centre has been in operation now for several years with no accidents to date. Jungle Flight is open every day of the year from morning to evening. Either turn up or book by contacting Mr Chai on + 66 (0)80-8897966 or +66 (0) 81-0868479.